SUBIC, Olongapo City-----Subic Bay Metropolitan Authority (SBMA) launched its 1st ever Recyclables Collection Event today. 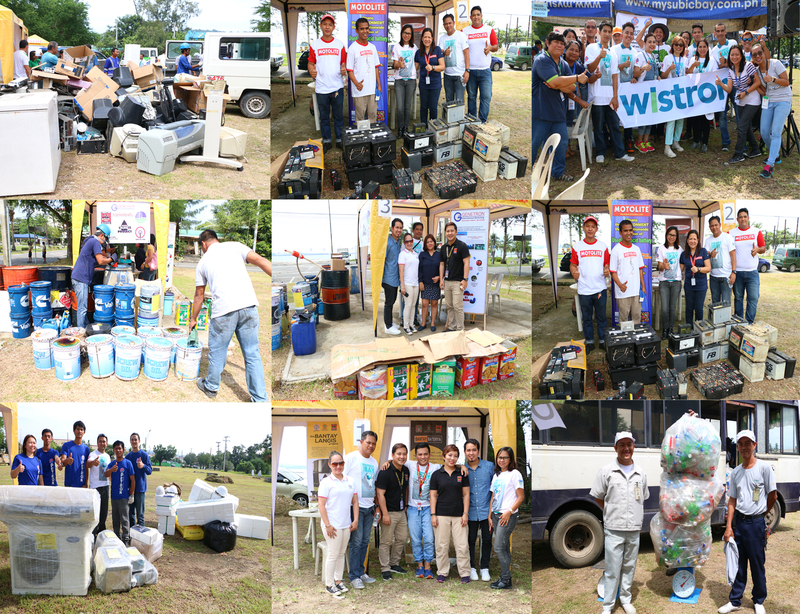 SBMA Ecology Center initiates environmental protection through collecting recyclable waste in collaboration with Bantay Kalikasan-the environmental arm of ABS-CBN Lingkod Kapamilya Foundation, Inc. and other partners. Over 200 companies donated to help dispose their hazardous waste properly. Used oils, lead acid batteries, waste paper and carton, waste electrical and electronic equipment and busted fluorescent lamps were just among the hazardous waste brought by various groups. Amethya Dela Llana, Department Manager of SBMA Ecology Center stressed that the event was a great opportunity to disseminate awareness on environmental protection within Olongapo City and help reduce pollution as well as helping the cause of Bantay Kalikasan. "This is an eye-opener to all locators here, we should not be thinking of business and revenues alone, we have to do our part to protect our environment because we only have one environment. Once it's gone, it's gone forever", Rolando Sta. Cruz, Environmental Practitioners Association (EPA) Officer & PACTEC Sales Manager added. The event was made possible through the cooperation of BOC, SBMA property & Procurement & Management Department, SBMA SeaPort Department, SBMA Tourism Dept, Maintenance & Transportation Dept, DENR-EMB Region 3, Law Enforcement Dept, Media & Productions Dept & SBMA Finance Group. Monetary proceeds will go the environmental projects of Bantay Kalikasan.